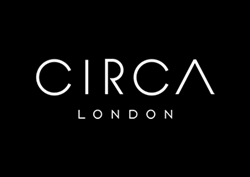 Welcome to Circa London, the prime central London estate agency for discerning buyers, sellers, tenants and investors alike. Every member of our team is dedicated to offering a first class service and our independent status allows us the flexibility to adapt to our clients’ individual requirements. We do not believe that one size fits all. Antony is very responsive and always helpful and friendly. Great thanks to Roby Ellis and Megan Gates who have helped us much in letting out our apartment. Thank you for your due diligent follow ups and constant updates! We had a great experience, especially thanks to Maddie, who did a great job from flats viewings, to negotiations until reaching the point of renting! Very pleased with service received for the sale of my property. Particularly diligent and helpful in getting a complex transaction over the line. Highly recommend!